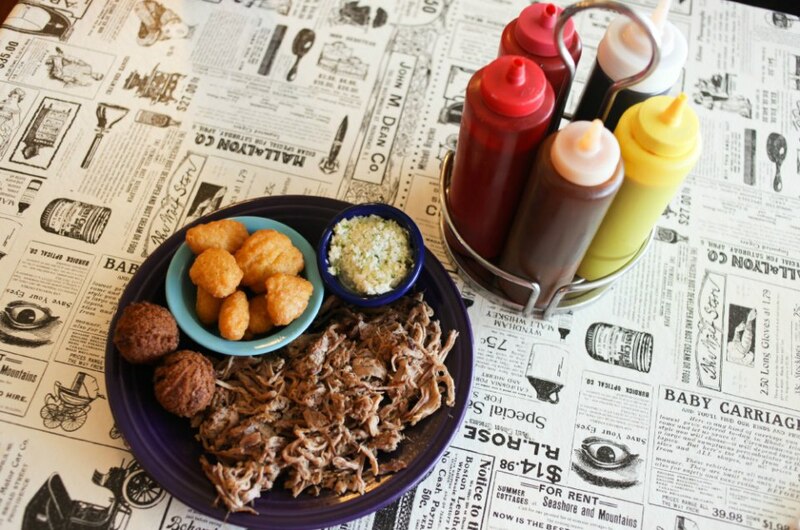 When I first heard that I’d be heading to Sevierville, Tennessee my mind immediately drifted to biscuits, fried chicken and barbecue. One of the best ways to experience the South is through its cuisine and it had been over a year since I’d been in the area. I couldn’t wait for the feast to begin and was salivating just thinking about it. Gourmet donut shops are a trend that’s sweeping the nation and one of the latest entrants into the market is in downtown Sevierville. Just a stone throw from a statue of the region’s pride and joy, Dolly Parton, Courthouse Donuts off the picturesque town square is no ordinary bakery. I thought perhaps I’d meandered in a bit too late as I wasn’t greeted by the normal display case of decorated donuts, but I soon learned that all their donuts are custom-made and I’d get the chance to design my own dessert. Similar to your favorite froyo shop, you pick your toppings and glaze for a creation that’s all your own and as decadent as you can dream up. It’d be a mistake to ever pass up an opportunity for Tennessee barbecue and I made a beeline for Tony Gore’s Smoky Mountain Barbecue upon entering town. I knew that I’d come to the right place when the telltale smokers and Tony himself tending to the ribs greeted me. I had a hankering for pulled pork and decided on a plate garnished with corn nuggets, hush puppies and their signature slaw. If you time your visit just right, you may even be treated to a private show put on by the restaurant’s owner. Not only does Tony Gore serve up delicious mountain fixin’s, but he’s also an accomplished gospel singer who has been delighting audiences for over twenty years. of course, the trip wouldn’t be complete without a stop at the cider mill to grab some cider and apple butter for the road. 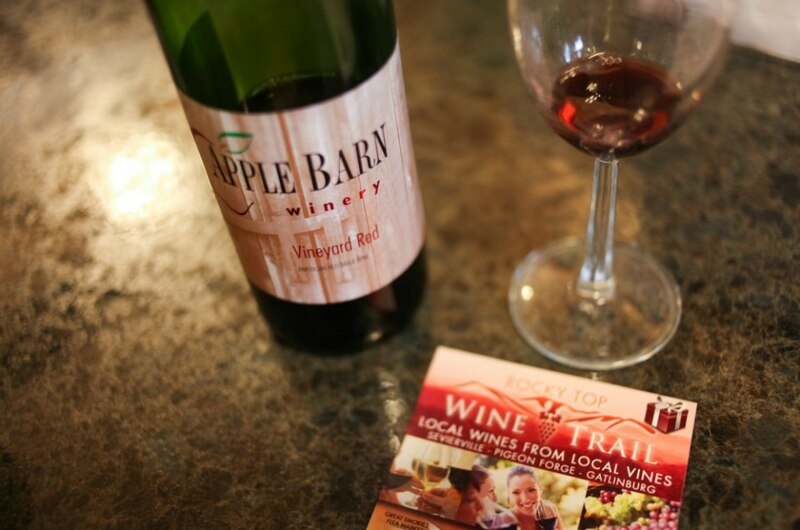 The Apple Barn complex is also a great place to start your self-guided journey along the Rocky Top wine trail. Grab a passport at any of the stops and start collecting stamps at the region’s five wineries. All within twelve miles of each other, you’ll quickly be on your way to earning a souvenir glass and free gift. The best part? All the samplings and tastings are free! Old Forge Distillery just across the border in Pigeon Forge. New on the scene, they pride themselves on using corn that’s been milled right next door at the Old Mill in operation since the 1800s. The moonshine comes in unique flavors like french toast and coffee, but I like to stick with the tried and true crystal clear Miller’s Blend. Craft beer has also made its way to the area in the form of Smoky Mountain Brewery in Pigeon Forge, a full-service restaurant with attached brewpub. It quickly became my favorite hangout, with live music and $2 pints that’s roaring until midnight. I enjoyed a fine porter on my first night in town so you can also find nicer things to imbibe on if that’s more your speed. Downtown Sevierville also offers fine dining, a great happy hour and live music at Bistro 109. If you’re looking to sample a variety of Southern craft beers back at your cabin or hotel, nearby grocery stores like Kroger and Food City offer make-your-own six packs, perfect for a relaxing evening in. Whether you’re excited about traditional Southern goodies or drinking your way through town, Sevierville has something for everyone to indulge.